Lindsey Graham claims Secretary of State Hillary Clinton ‘Got Away With Murder’? According to news reports, Republican Tea Party (GOTP) Senator Lindsey Graham of South Carolina’s claiming outgoing Secretary of State Hillary Clinton “got away with murder” in the Benghazi attack that killed Ambassador Chris Stevens and three other Americans. Well Senator, how about this? Perhaps if the uber-conservative GOTP members of the House hadn’t slashed funding for embassy defenses the four Americans would still be alive? The hypocrisy of the right knows no bounds, it’s amazing how this attack’s somehow criminally negligent but the death of more than 3,000 Americans on 9-11, and then sending more than 4,000 American soldiers to their deaths on faulty intelligence wasn’t? So, using Graham’s logic then, the Bush Administration got away not with murder, but with “mass murder”. 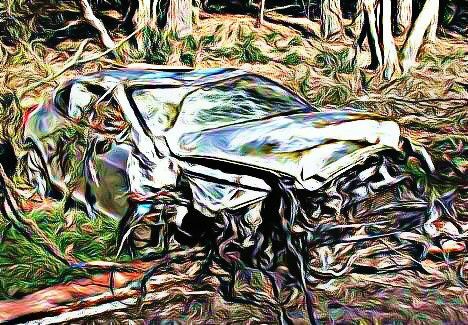 4 Americans killed by terrorists in Libya warrants a Congressional investigation? The Republican Tea Party (GOTP) has determined since it can’t beat the President in an election it’ll impeach him and drive him out of office. Presumably the new impeachable offense is the terrorist attack against our Consulate in Benghazi, Libya. Of course the biggest problem with this latest nefarious plan in a long list of nefarious plans by the uber-right is first, the President would have to commit a crime, and second while the House may impeach a President, it’s the United States Senate which would actually try him and which has the power to thus remove him from office. Good luck with that plan. It’s time for the GOTP to quit whining, grow up and get down to business fixing the nation’s economy and getting Americans back to work. McCain thanks the French, British and everyone but the President for Qaddafi overthrow? Republican Tea Party (GOTP) Senator – and one time GOTP once and future king, John McCain, gave credit to everyone in the world for the death of ousted Libyan leader Muammar el-Qaddafi, but offered scorn and criticism for President Obama. McCain further criticized the President on the ongoing troop withdrawals from Iraq and Afghanistan. Having troops leave Iraq puts the country “in significant danger of having more problems than they otherwise would have,” McCain said, arguing that withdrawal could leave Iraq vulnerable to Iranian influence. “I can tell you, from traveling the world, that in the world they believe the United States is withdrawing and is weakening,” he said. Yeah, I’m sure that’s exactly what the world’s believing Senator; especially after Seal Team Six invaded Pakistan and put two rounds into Osama Bin Laden’s head; the Air Force shot a missile into Anwar al-Awlaki’s SUV; and Naval air superiority blew Qaddafi’s Army to smithereens; not to mention the bunker busters the President gave to Israel (after Bush refused to do so). 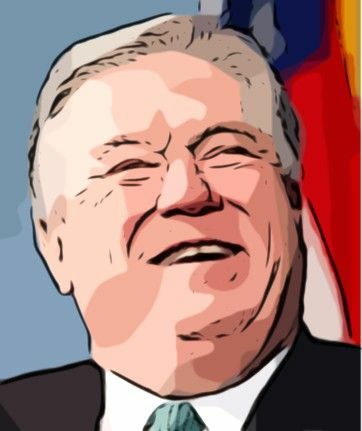 What the world’s beginning to believe Senator is it’s far past time for you to ride off into the sunset – news flash Sparky! You lost the election, and nobody outside of your own addled mind cares what your view is. If you’d won in 2008 we’d have invaded Iran by now, would still have 100,000 + troops in Iraq, Bin Laden would still be laughing at us and Sarah Palin would’ve smothered you with a pillow. The President‘s leadership on Libya was exactly right. 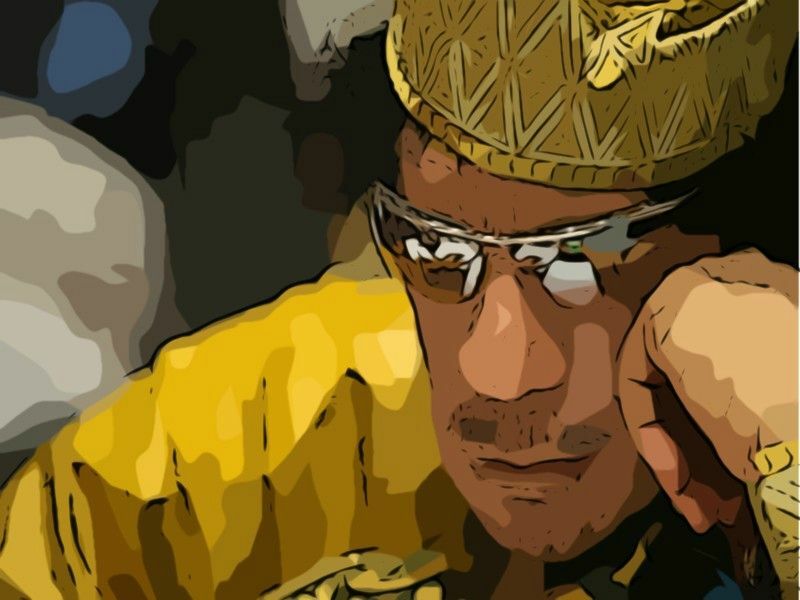 The Associated Press (AP) has reported that the tyrannical despot who raped and despoiled Libya for 42 some odd years, Moammar Gadhafi, is dead; killed as revolutionary forces overwhelmed his hometown, Sirte, the last major bastion of resistance. One more feather in President Obama’s cap of foreign policy through strength; while Bush/Cheney mollified Gadhafi – a known terrorist – President Obama supported the revolution which overthrew him and which has brought the opportunity of freedom to the people there in the last regime to fall under the wave of the Arab Spring. The Arab Spring wave of popular uprisings that swept the Middle East, demanding the end of autocratic rulers and greater democracy has rewritten the political destinies of a number of former dictatorships including Egypt, Tunisia and now Libya; and unlike the Bush/Cheney years all were accomplished with no American invasions or pre-emptive strikes forcing western democracy upon others. These were revolutions spawned from within, not foisted from without. “We have been waiting for this moment for a long time. 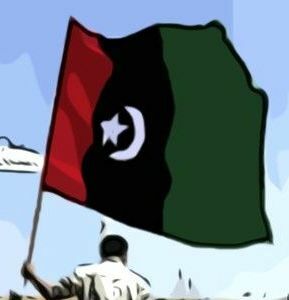 Moammar Gadhafi has been killed,” Prime Minister Mahmoud Jibril told a news conference in the capital Tripoli. Al-Jazeera TV showed footage of a man resembling the 69-year-old Gadhafi lying dead or severely wounded, bleeding from the head and stripped to the waist as fighters rolled him over on the pavement. According to the AP, celebratory gunfire and cries of “Allahu Akbar” or “God is Great” rang out across the capital Tripoli. Cars honked their horns and people hugged each other. In Sirte, the ecstatic former rebels celebrated the city’s fall after weeks of bloody siege by firing endless rounds into the sky, pumping their guns, knives and even a meat cleaver in the air and singing the national anthem. Information Minister Mahmoud Shammam said he was told that Gadhafi was dead from fighters who said they saw the body. So, today the world is a little brighter as one more ruthless man is sent to his reward; people in Libya can breathe a little easier, and America has helped to bring a tyrant down. In spite of what many Republican Tea Party (GOTP) politicos have been claiming, Gadhafi was not our friend; he was not our ally; he was a terrorist and he will not be missed. McCain Offered Aid to Our Enemy? Who has two thumbs, had aspirations of being President and promised to try to gain powerful weapons for ousted Libyan leader Muammar Gaddafi two years ago? 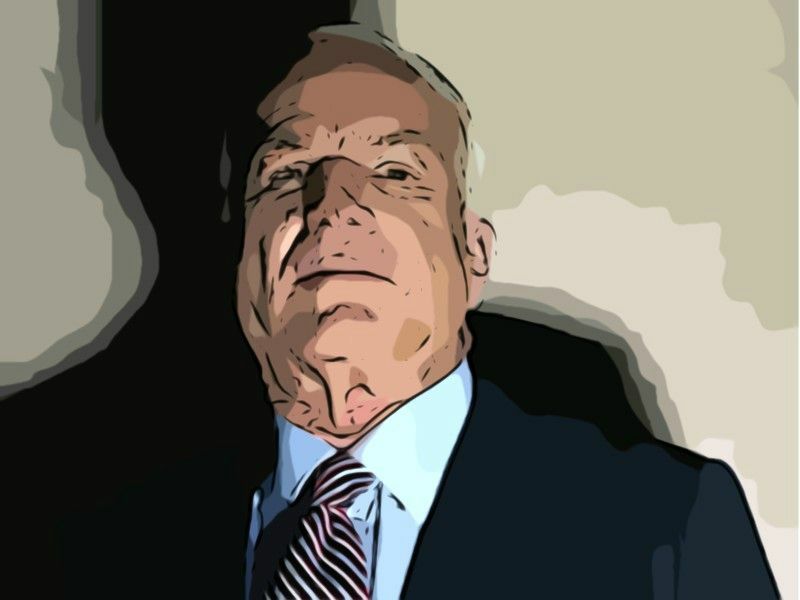 If you said John McCain – you’re right! That’s right “my fellow Americans” – as McCain likes to say – the former GOP candidate for President told the dictator he’d help obtain American military hardware, according to a U.S. diplomatic cable posted Wednesday by WikiLeaks. Grampy travelled to Libya in 2009 with his turncoat “independent” buddy Joe Liebermann, and “pledged to see what he could do to move things forward in Congress,” the cable said. So, Mr. “I love America” was willing to grease the skids for a known terrorist leader and sponsor of terrorism, really nice. Who’d Grampy and Joe think the weapons would be used against? They knew they’d be used against Gaddafi’s own people, against Israel and probably against Americans, but the two so-called Senators were evidently more concerned about provided defense contracts for their masters instead of protecting their constituents and our allies. McCain and Liebermann were also accompanied by two other GOTP senators, Lindsay Graham and Susan Collins. 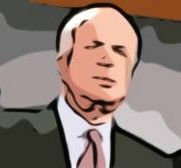 It’s time for McCain to bow out and fade away, as well as Joe, Lindsay and Susan. 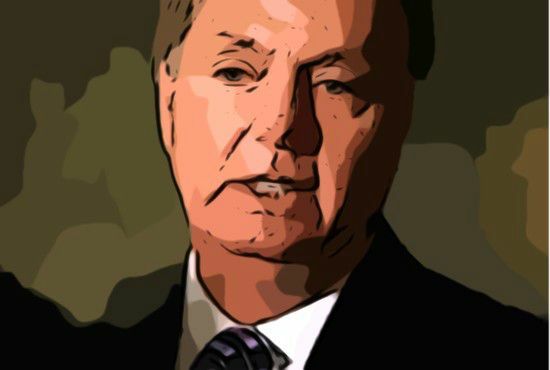 How could any United States Senator talk to Gaddafi about helping to procure weapons for him? They’ve willfully attempted to aid a known enemy of the United States. It’s disgraceful and indefensible, so please Grampy; spare us your platitudes on how the President should have done things. 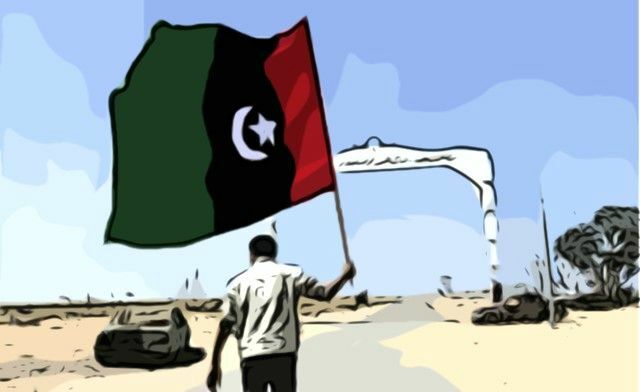 The future of Libya is in the hands of its people? President Barack Obama declared Monday afternoon that Moammar Gadhafi’s 42 year rule is over, “The future of Libya is in the hands of its people,” he said. So, let’s see, President Obama allows United States aircraft to support the 5 month revolution, and thus far – knock on wood – we have no U.S. deaths, and an avowed enemy of our country and sponsor of terrorism is overthrown. Sounds like a pretty clear vindication of the President’s decision to limit U.S. involvement in Libya and to let NATO take control after the U.S. led the initial air campaign in March. Unlike his predecessor, President Obama stopped well short of declaring “mission accomplished”, leaving it to a spokesman to credit U.S. strategy and “the President’s robust leadership” with producing “a lot of favorable results.” But the President highlighted NATO’s success after months of doubts about whether the alliance would be able to prevail. “NATO has once more proven that it is the most capable alliance in the world and that its strength comes from both its firepower and the power of our democratic ideals,” he said. The President was quick to point out that it all happened “without putting a single U.S. troop on the ground” – a policy, according to aides, that President Obama will maintain. This is a welcomed policy after eight years of the Bush/Cheney/Rumsfeld example of bungling the war effort against Al Qaeda, with its deploying more than a hundred thousand troops but lacking any cohesive strategy besides shooting up a lot of Afghanistan and Iraq, and failing after eight years of conflict to get Osama Bin Laden. So, let’s recap; under the leadership of a President conservatives love to hate, Navy Seals killed Bin Laden – something Bush failed to accomplished; we’re drawing down forces in both Iraq and Afghanistan, and Gadhafi’s out as dictator of Libya – something Reagan could never do. Not bad for the man Limbaugh and company have claimed was soft on terror. And so, it’s 20 some odd months until Election Day 2012 and a very small group of potentially high-profile Grand Old Tea Party (or the group formerly known as Republican) candidates show up like the early spring honey bee hoping to impress the equally small hundred or so conservative activists Saturday in Des Moines, Iowa that most Americans (that would be GOTP, Independent and the very small smattering of Democratic voters) agree with their particularly odd variation of “values”, and opposition to all and everything President Obama represents, but mostly his socialistic health care overhaul; and that all of this could somehow magically help the GOTP make historic gains in 2012. One of the most incredible long shots in political history, except for possibly with this year’s gathering of right-wing odd balls and fruit cakes is Michigan Congresswoman Michele Bachmann, who not surprisingly is a huge a tea party favorite, and who – also not surprisingly – got the noisiest reception when she told the “huge” hundred plus crowd gathered that voters are ready to overturn the federal health care law and oust President Barack Obama during next year’s election. Ah yes, the perennial GOTP favorite line, “we’re going to take our country back.” But to where do you want to take it, and for whom Congresswoman? Are we going back to 2008? Back to those happy carefree days of Bush/Cheney when habeas corpus was suspended on a whim if your name had Mohamed in it, or before our military was free from Gays and Lesbos? Or back to the pre-Camelot days before all those pesky Black people dared to eat at the same lunch counter? Of course the Newt was there, and the deep south’s Haley Barbour and even former Godfather’s Pizza CEO Herman Cain spoke to add a splash color to the Midwest white bread event as the token conservative African-American, since Justice Clarence Thomas was unable to attend due not being sure how to bill the gathering and still at least try to appear impartial on the bench. But why Iowa you ask? Is it because it’s a field of dreams, and hopefully Newt, Barbour and company will all walk into the corn and finally fade away? Or is it simply because event organizer, Iowa Congressman Steve King, believes that his home state, the state where the nation’s first presidential caucus will take place, is the proper venue to help conservatives shape the debate as members of the GOTP begin looking for a candidate to run against Obama. 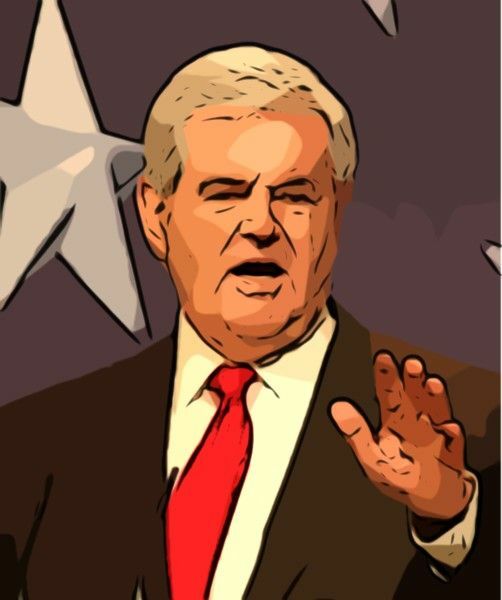 Of course with Bachman, Newt and Barbour that “next level of its destiny” can only mean backwards or farther off the cliff of economic collapse started during the last administration. While Iowa is the traditional launch pad for the presidential nominating season, when one sees the sharply conservative rhetoric from Saturday’s little rally, allegedly reflecting an Iowa GOTP that’s drifted not just to the right, but to the far right, coupled with some polling data from last year showing more than 60 percent of GOTP caucus-goers there are identifying themselves as not only Christians but evangelicals, you have the makings of a gold old fashioned revival meeting, the type where Mormons – such as Mitt Romney – need not apply; of course it’s also then going to be an evangelical crowd that’s going to have a hard time getting its arms around a two time adulterer, or a deep south nominee, which leaves the nomination wide open for Huckleberry, Bachman and Palin. How wonderful. That would be the center right where family values stands for cheating on not just one but two spouses, marrying each mistress in turn and then claiming you couldn’t control your hormones because of your deep seated love of country? Haley said the GOTP can win next year if their candidates stay focused on key issues — health care and balancing the federal budget — without getting distracted by arguments about personality. Of course by balancing the budget he means zeroing out any progressive programs, while continuing to cut taxes to the top 2% of the nation’s population and allowing defense spending to maintain its unabashed feeding frenzy. That’s right. It’s all about the policy of taking our country back to a time when uppity folks like foreign born blacks knew their place, isn’t that right Governor? It’s about an America where homos and lesbians weren’t allowed in polite society, and it’s about the America where the term foreign policy meant telling our allies to shut up, sit down and do what we told them to do. During the “event”, the speakers all focused on criticizing President Obama and the Democratic Party, and the Newter even took the time to say how he “helped balance a budget for four straight years” while House speaker. That of course was due more largely to the efforts to his fellow philanderer President Clinton, than for anything he himself managed to do, between his own affairs while impeaching the President for his infidelity. But of course, Newty also took the opportunity to attack – yet again – President Obama’s handling of the air strikes in Libya. He ridiculed Obama for consulting the Arab League and the United Nations, but not Congress, before getting involved. The Newt said he wouldn’t have approved the air strikes, even though he pushed for air strikes and a no-fly zone just a week or two before the President implemented that very policy, but said Newt, “once you get involved, you put on the pressure and you win quickly.” As compared to becoming bogged down in not one but two wars with absolutely any exit policy, clear cut goals or objectives. Cain, who decided to be the one speaker not talking about the federal health care law, said the conservative movement is gaining strength and will help the GOTP “take back the government”. He does understand that the GOTP’s version of “taking back” the government would mean he’d be serving them the pizza, and driving Miss Daisy around town, doesn’t he? Taking the country back doesn’t mean equality for Blacks, Hispanics, Gays or Lesbians. It’s taking the country back to the happier times of Herbert Hoover before Labor Unions and desegregated class rooms. 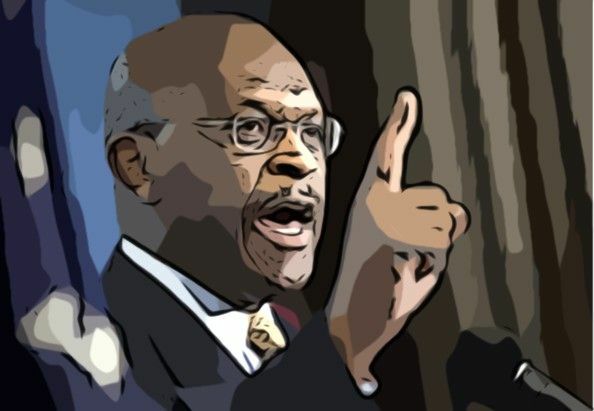 Seeming to be oblivious to all of this, and believing the fact that since he’s a wealthy black man meant he shared in the GOTP dream, he said the U.S. has “an entitlement spending crisis” that must be reformed in order to solve the nation’s financial woes. Being the GOTP code for throwing the poor and the elderly out on the street where they belong. Cutting social security benefits to the disabled, cutting WIC and women’s pre-natal and health care, slashing college loan programs to the poor and zeroing public broadcasting, and arts programs. “We don’t like the radical socialist agenda that is being shoved down our throats,” he said. And what he wanted to say is we don’t like the idea that the poor can have free health care, and have their standard of living increased, and that we have a minimum wage and child labor laws and the like, and that he could’ve made much higher profits if only he could’ve paid lower salaries or could’ve had five and six your olds slaving away in his pizza kitchens. 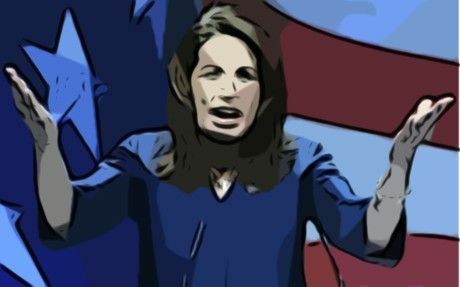 Meanwhile, Bach on the farm, the Congresswoman from Michigan steered things back onto the effort to repeal the health care reform law and said that American’s bad feelings for the law had created a strong tide of support for the GOTP positioning itself for next year’s election. Really, “it’s never gone below a majority of Americans who want to see Obama-care repealed”? While that might be true of any Rasmussen poll, in the world outside of the FOC PAC bubble the clear majority doesn’t want it repealed, and is happy with the law. And are you really serious when you claim this is the greatest power grab you’ve ever seen Congresswoman? So, one can only assume you either haven’t paid any attention to the whole political coup thing in Wisconsin? Or, you wholeheartedly agree with it? Of course that’s the American dream of white, Anglo-Saxon, Christian evangelicals. Not the one that includes people of color – except to clean the house, repair the roof, pick the vegetables and maybe collect your garbage. It’s also not the American Dream of any of those darned Muslims and their Mohamed; it’s not the American Dream of religious freedom, unless you strictly uphold to the idea that America is a Christian nation; of course it’s a Christian nation that is largely denying the Christ, and his teachings regarding caring for the poor and the sick among us, and of brotherly love etc. It’s the Evangelical Christian American Dream of the Old Testament where Gays are stoned to death, and only white people get to be President. It’s the American Dream of preemptive warfare and unending tax cuts and never having to pay the bill for the Wild West diplomacy.